Home » The Most Reverend Bishop Daniel R. Jenky C.S.C. On behalf of the quarter of a million believers living in the 26 counties of Central Illinois, want to welcome you and encourage you to explore our website. I hope that you will have the opportunity to participate in many of our diocesan events posted on the calendar of events and throughout the site as we gather together as one family. Many parents will want to learn more about our 44 outstanding Catholic schools in the diocese equipped with capable, dedicated, and hardworking educators who care for and provide quality education for our children and will join you in forming them as Disciples of Christ. God may be calling you to discern a life of love and service with a vocation to the priesthood, religious life, or deaconate. Our diocese is blessed with many wonderful men and women who have chosen this beautiful life of service. Perhaps God is calling you to explore the Catholic faith a little deeper. Whether you are new to the faith, a life-long Catholic, or interested in joining the Catholic Church, there are resources available throughout the site and people who would love to speak with you. If you are looking for ways to extend God’s compassion and mercy to those in need, Catholic Charities offers many opportunities to serve your neighbor through your gifts of time, talent, and treasure. The Respect Life Ministry supports individuals and families as they bring to the world a witness of God’s love in marriage and in the family by providing movies, resources, events, and retreats to unite as a Catholic community. Our Evangelization and Faith Formation programs continue to invite and enable ongoing conversion to Jesus in holiness of life as we promote and support active membership in the Christian community. We call and prepare youth and young adults to become disciples in mission to the world through involvement in TEC, mission trips to serve the vulnerable and those in need, youth events throughout the diocese, and Theology on Tap (where I’ve had guest appearances as they try to stump their bishop). Many will be drawn to our site daily to offer prayer requests that are received by the Servants of the Pierced Hearts of Jesus and Mary who will pray for your intentions before the Blessed Sacrament in the Chapel at Nazareth Retreat House, the retreat home of the Diocese of Peoria. These are just a few of the many resources on our website. I pray that you find this site a valuable resource as you grow in your holiness and love of our Savior, Jesus Christ. Visit often! 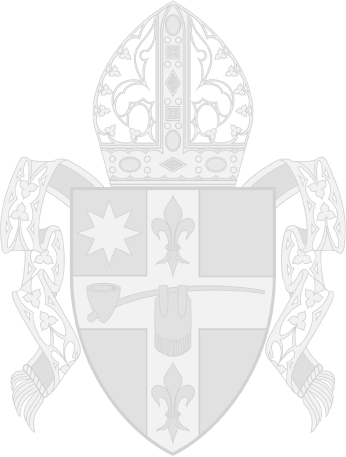 Most Reverend Bishop Daniel R. Jenky, C.S.C.